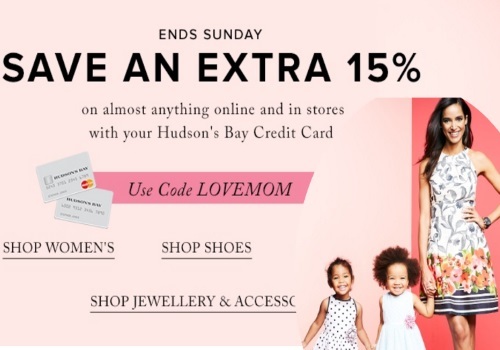 Hudson's Bay is offering a promo code for Mother's Day coming up to save you an extra 15% off! Enter the promo code LOVEMOM to get 15% off almost anything when you pay using your Hudson's Bay Credit Card in-store or online. Offer ends Sunday, May 1, 2016. Free shipping applies on orders over $99 ($49 on beauty product purchases).